Yes, my mind is closed to anything you post and Brexit won't be a disaster. Glad we've cleared that up. Why do you think I said ITN was a self help group? No - that's your CSI (not the TV series). For Channel 4, or by Channel 4? Whatever. The emphasis is on the Channel 4 famous lefty Remain bias. Dismissed by OFCOM, doesn't actually mean that they were not biased. Don't think it's my whinge, more yours. Were you not one of those who were going to ignore me? That fell by the wayside didn't it? Daily Mail - that's now bit of a Remainer rag since a new editor arrived. Have you ever read it? I fully agree that not all Left-wingers are Remainers. The ones I refer to are invariably both. My list - you really don't like the warnings in it. Shall I post again for you? Pity there's nowhere to link to, which pisses you of no end. Honestly, I've never heard of Dominic Cummings. You'll be telling me next that he was the driver of the big red bus. Yes, 70 million Turks, so you can't be too careful. Was it you told Tony Blair there wouldn't be many migrants after 2008? Whoa, are you bowling spinners now? You said MIchael Gove as good as admitted lying, which he didn't. NONE of them are refugees. They are all scrounging migrants, except "the doctors and engineers and scientists". Where did they go? Oops, almost fell into your 'racist trap' there. It's a deflection anyway - get back on topic. Aw sweetie, you're doing it again. Labeling me as fascist, of indeterminate group and unproven, but you assume jackbooted and brown shirted. Good job my feelings are not hurt, or I may have to protest. More twisting of my words and denial of your own with a bit of English incomprehension thrown in for good measure. Please feel free to go back and mark it for me. I don’t think you are one of those ‘English Teachers’ but who knows. Possibly a grammar nazi, but who cares? Dunno mate. You were the one who saw fit to crown me some sort of human rights hero - though I’ve never claimed to be one. Maybe with your man-crush on me shattered when i turned out not to be the short-shorted man of your dreams? As for looking at your profile. Wow...you got me. Given you were so sure that all my previous posts have been examples of human rights purity, I did indeed go back and look after asking myself ‘who the f%^# pays that much attention to what i write?’. Pray tell, what is a short-shorted man, and why is he of my dreams? Regarding me, "crowning you a human rights hero", there's those delusions of grandeur again. I only pointed out that if you go around casually calling other people racists and bigots, it's surely a good idea to make sure that you aren't guilty yourself of discrimination. I guess people who don’t agree with discrimination based on nationality therefore - to be consistent of course - would apply for tourist visas when going traveling in the same way those from countries who don’t have such flexible visa on arrival arrangements. Shlepping down to the embassy each time you want to go somewhere with rhemes of documents and financial statements. Of how liberating and egalitarian of one! I would be happy for all tourists to be treated in the same manner as each other. You seem happy to get special privileges purely on the basis of what it says on the front of your passport. 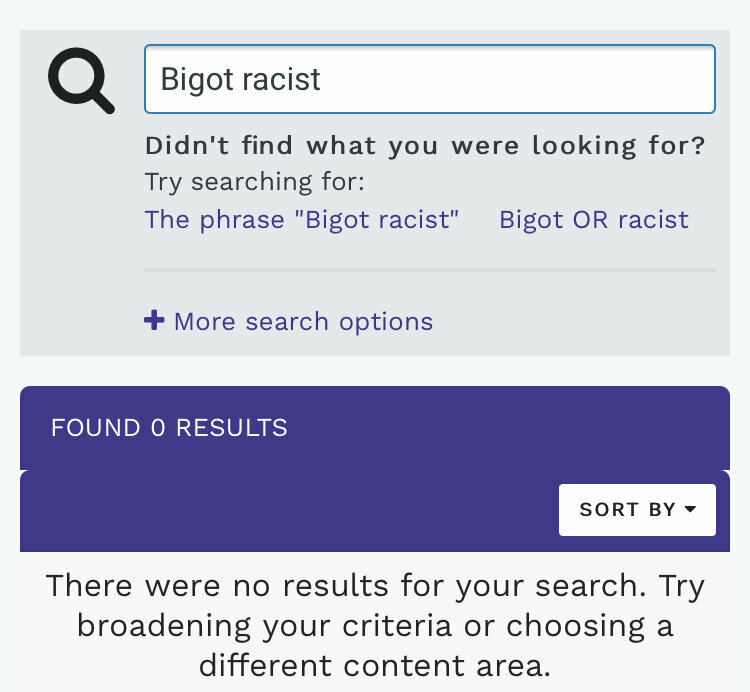 So below is a Thai Visa search using my name and the words ‘bigots’ and ‘racists’. Another misleading statement you’ve made about me. Avoiding the question as always. Given you are holier than thou, more purer than pure. Do you not take advantage of visa free access afforded you of your nationality? Do you mean all tourists from all countries visiting all other countries being treated as what the UK calls non visa nationals and so not being required to obtain a visa? Or the opposite, that is all tourists from all countries visiting all other countries being treated as visa nationals and so requiring a visa? If the latter, do you practice what you preach? But as you feel so strongly about this, whenever you travel internationally you (will) doubtless always in future apply and pay for a visa, even when you do not require one for your destination because of your nationality. Well the Hard Brexiteers may deserve a place in hell, but the FX markets are currently discounting Hard Brexit in favour of a softer version as Sterling still creeping up last week, so an appointment with Old Nick might be postponed. I do love an optimist. "I've been down so long it looks like up to me" Lawrence Ferlinghetti. Wow. Would you care for some fries with your pedantry? Just because you haven't used the specific words, "bigot" or "racist", doesn't mean you haven't accused people of bigotry or racism. You have. Plenty of times. Here is just one example below. It took about a minute of searching by the way, before you start going on about fanboys and short-shorted men of my dreams. I’ve got a blue passport already. And brown one. The more rights I have from a passport the better. I just don’t go around blaming Angela Merkel, Brussels and nasty foreigners for everything. Please explain to me what sort of person would describe foreigners as being nasty, if not a racist bigot? What drugs are you on, i’d like some. Still duckng the question I see about you not taking advantage of your passport. To take that last paragraph to mean I think that foreigners are ‘nasty’ takes a really poor understanding of the English language. 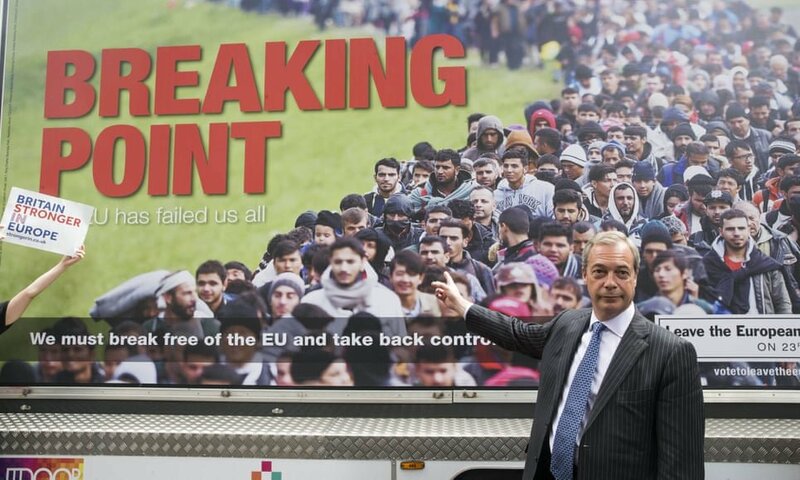 Was some of the campaigning around brexit to stoke up xenophobia? Of course. It is a nasty and cheap stunt pulled at elections. Otherwise why would you have posters like this? You wanted to leave the EU to take control of immigration. Fine. When I line up at Heathrow in the ‘others’ queue the people who are whizzing by in the EU passport line are mostly Caucasian from different parts of the EU. Why then, if you wanted to control the flow of those types, would you not put up a poster of mainly middle aged blond, brown haired people with various shades of white skin? I mean they are the people taking advantage of FOM every day. But instead you get posters like this, who look nothing like the majority of the people going by is the EU queue. Hmmm, I wonder why did the leave campaign use this picture? What was their motive you think? There is something, I just can’t put my finger on it?!?!? Why don’t you help me out? But if you are taking me making a broader point as a personal sleight, then I think you have to look in the mirror and figure out why. I think it's you with the drugs problem if you took my comment to mean i was saying that you think foreigners are nasty. I wasn't saying that at all. I was responding to your comment that you have never called anyone a racist or a bigot on the forum, by explaining that it is possible to call people this without actually using those specific words. And this is exactly what you did when you talked in general terms about leavers as being people who think foreigners are nasty. I'm not, by the way, denying there are sadly those people in life who do think of foreigners as being nasty. Of course there are. They exist in all walks of life, and your points and specific examples, including the poster, illustrate that. My issue is ascribing a discriminatory mindset not to individual people who have shown themselves to think like that by their own actions or words, but to large swathes of people who you have never met. As i have pointed out before, there is one prominent remainer on this forum who is a self-described anti-Muslim bigot. I'm not applying his mindset to you. He is just one person. No doubt there are other remainers who share his views on Muslims. Maybe you do. Maybe you don't. However, it would be stupid to assume that just because you and he are keen on the EU and think Britain is stupid for wanting to leave, that you too are an anti-Muslim bigot, wouldn't you say? On the question you accuse me of ducking, no i wasn't ducking anything at all, it's just that we have been disagreeing on a number of different things and i was addressing those forefront in my mind. I use my passport in the same way i believe everyone else does. If i am going to visit a country, i find out what that country requires of me and follow those requirements. Is your argument that, if i truly believe in equality for all immigrants, i must insist on a country allowing me to apply for a visa even if their policy is that i don't need one, and if i don't do that, i must therefore be a hypocrite? I mean, really? Is that actually what you are saying?